You are invited on a journey into silence. 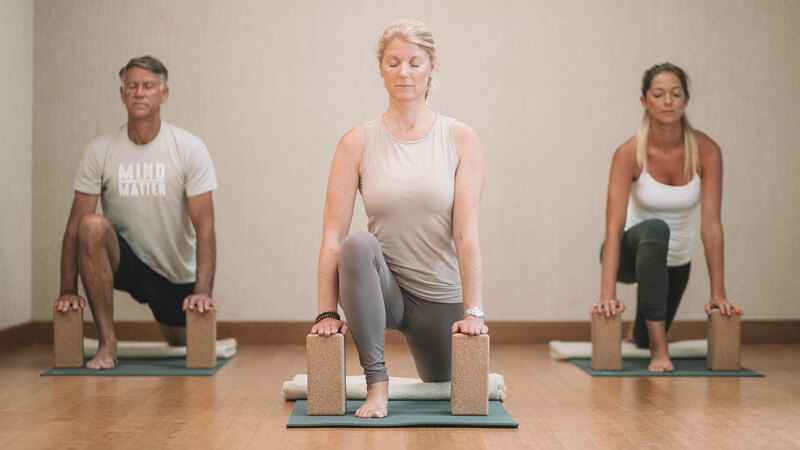 In this Yin Yoga Teacher Training of 75 hours you will learn and explore the basic principles of the Taoist practice of Yin Yoga, Pranayama and Mindfulness Meditation. This training will allow you to teach this practice with confidence. Ample time will be dedicated to the art of teaching, based on a solid and effective teaching methodology. Marije is a long-time student of Sarah Powers. This training is based on what she has learned from Sarah, Paul Grilley, and Bernie Clark, and her own experience as a dedicated practitioner and teacher trainer. Students who do not wish to teach but simply want to deepen their practice and understanding of Yin Yoga and Mindfulness Meditation are equally welcome in the training. Friday September 13: 6:30 p.m. – 9:00 p.m.
Saturday September 14: 12:00 – 6:00 p.m.
Sunday September 15: 12:00 – 6:00 p.m.
Friday October 4: 6:30 p.m. – 9:00 p.m.
Saturday October 5: 12:00 – 6:00 p.m.
Sunday October 6: 12:00 a.m. – 6:00 p.m.
Friday November 22: 6:30 – 9:00 p.m.
Saturday November 23: 12:00 – 6:00 p.m.
Sunday November 24: 12:00 a.m. – 6:00 p.m.
Friday December 20: 6:30 p.m. – 9:00 p.m.
Saturday December 21: 12:00 – 6:00 p.m.
Sunday December 22: 12:00 a.m. – 6:00 p.m.
Friday January 10: 6:30 p.m. – 9:00 p.m.
Saturday January 11: 12:00 a.m. – 6:00 p.m.
Sunday January 12: 12:00 a.m. – 6:30 p.m. Please note: In order to receive certification, your attendance for the full training is required. If training time is missed, you will be required to schedule privates with Marije outside of regular training hours, which will incur an extra cost. This will be determined on a case-by-case basis. The onsite-training will consist of 72.5 contact hours. Students will be required to complete additional hours of self-study (as per further instructions), practice, and read the required reading material. Expect to dedicate additional hours during the training to take classes, and to prepare for practice teaching and the final exam. For Yoga Alliance registered yoga teachers this program is eligible for 75 hours of Continuing Education. Continuing Education is required to maintain your status as a Registered Yoga Teacher. Self-study (as per further instructions) in addition to training hours. Book: Mindfulness in Plain English by Bhante Gunuratana (for full training students only). DVD: Yin Yoga by Paul Grilley. If you wish to join this Yin Yoga Teacher Training please apply through the link here below. Participation is only confirmed after acceptance of your application and receipt of full payment of the tuition. The program is limited to 20 students, to ensure an intimate, safe and spacious learning environment. I understand that deciding on a Yin Yoga Teacher Training is a big decision. You may have questions about this training. Or you simply would like to get to know me a little bit before you apply. I’d be happy to talk with you, or answer your questions by email.